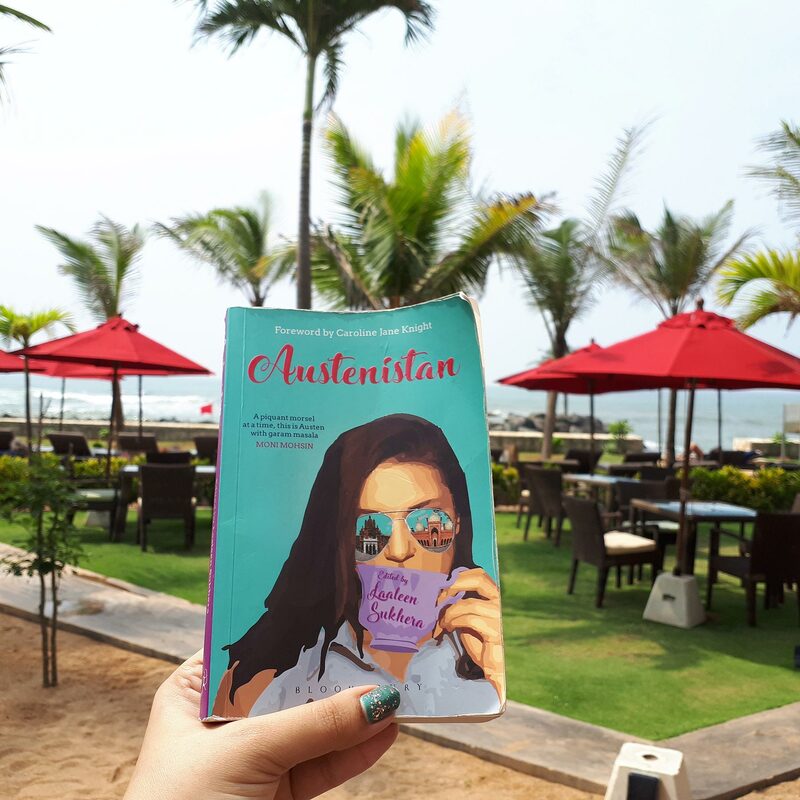 Literary musings in lush surroundings: Presenting the bestselling “Austenistan” at the Galle Literary Festival. 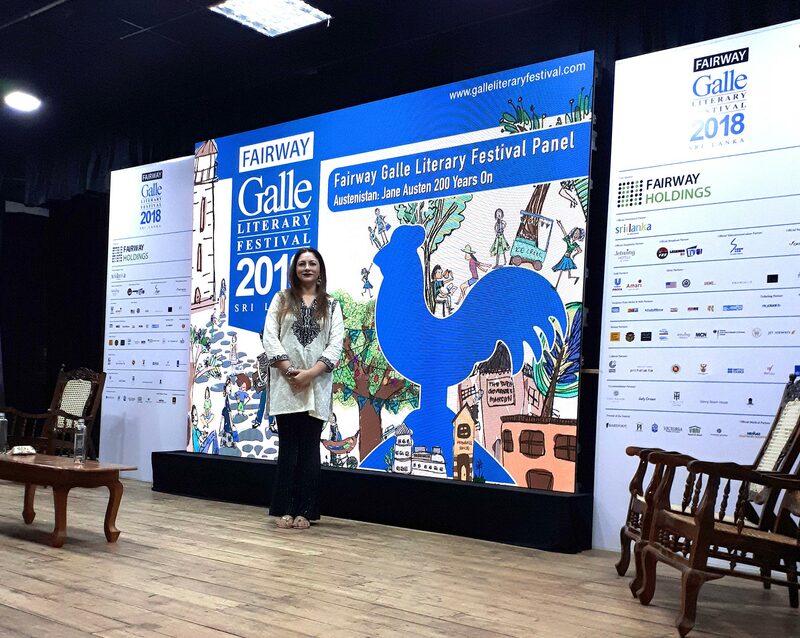 Steeped in Dutch colonial heritage mingled with tropical beauty and lovely Lankan hospitality, idyllic Galle is the site of the annual Galle Literary Festival, founded by hotelier Geoffrey Dobbs. Our Austenistan: Jane Austen 200 Years On session was held at the 500-seat Hall de Galle in the vicinity of the 16th century Galle Fort. I was joined by our anthology’s contributor of “The Autumn Ball,” Gayathri Warnasuriya, a Sri Lankan health scientist who’s previously lived in Islamabad and is a close friend. We were moderated by the vibrant Georgina Godwin representing British Council Arts. 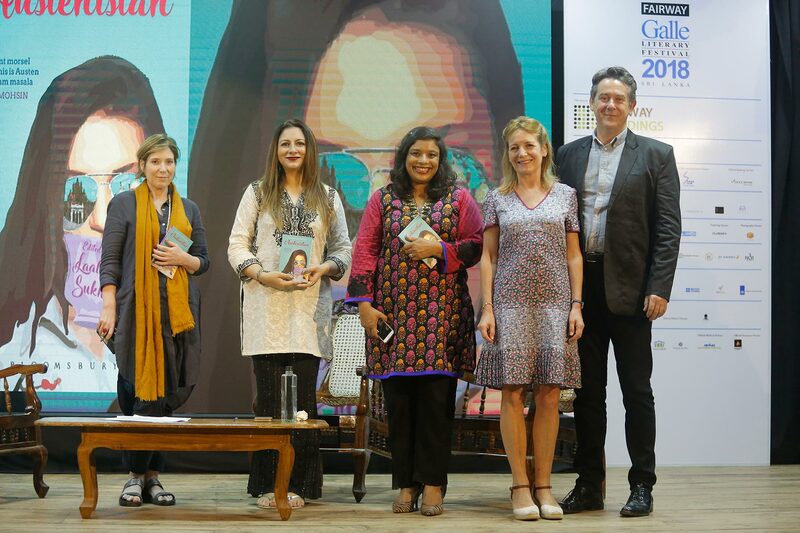 The festival was a magical weekend with appearances by Dame Maggie Smith (who snubbed Princess Michael of Kent for arriving late), Lord David Puttnam (who rightfully received a standing ovation), jovial Alexander McCall Smith, sharp-witted Shrabani Basu, erudite Sebastian Faulks, inspiring Nayomi Monaweera, eloquent Nisid Hajari, vivacious Ashok Ferry (whose “Jane Austen in Jimmy Choos” blurb features on our book jacket) and various other authors, poets, artists, architects, and chefs. 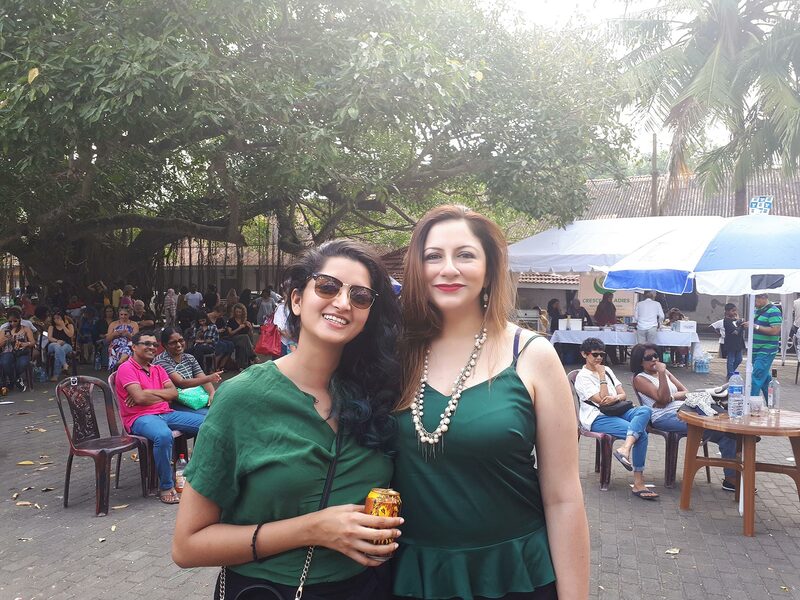 After long days at scintillating sessions, we were entertained with beach dinners, jazz, cabaret, and beloved cups of Ceylon tea. By the end of it, we were an international literary fraternity with the hope of returning to our scenic cinnamon isle with more exciting works to discuss. 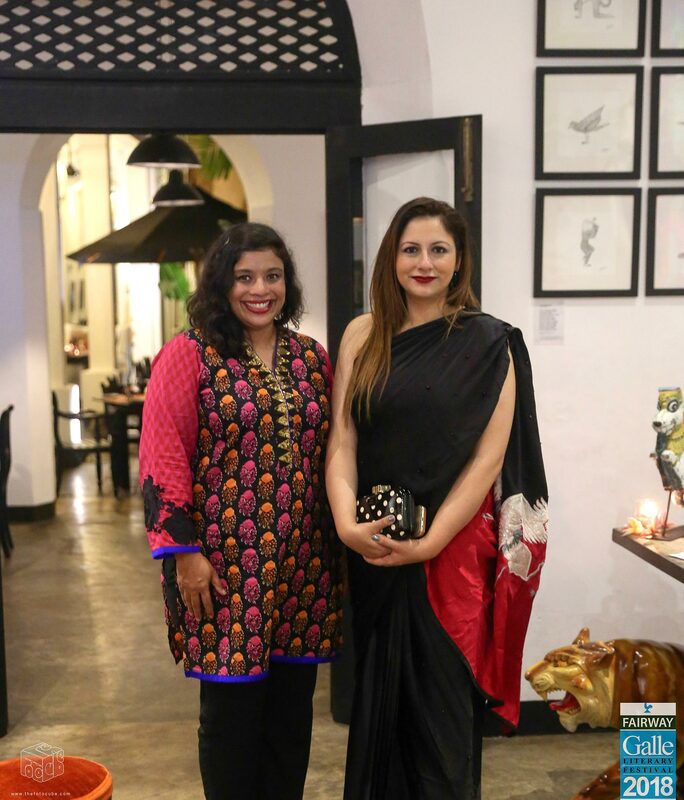 Gayathri and I paid respect to each other’s culture at the Heritage Cafe Authors’ Dinner; she wore a Sana Safinaz kurta while I draped a Fatima Ashar sari and carried a favourite Lulu Guinness clutch. Wearing Sublime by Sara Shahid. Sharing a laugh with Kinita Shenoy, Cosmopolitan Sri Lanka’s awesome editor. My dog-eared first copy of Austenistan travels everywhere with me. 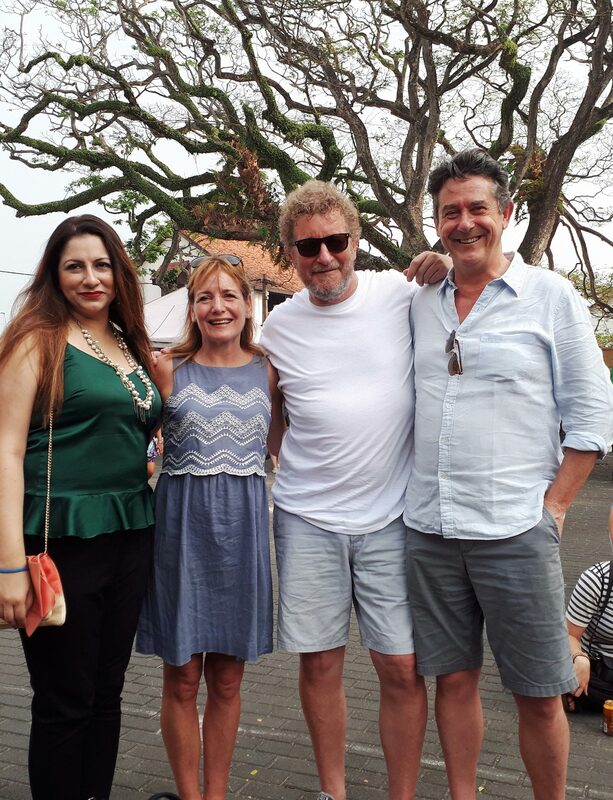 A sunny moment with Caroline Langrishe, Adrian Lukis and Sebastian Faulks.